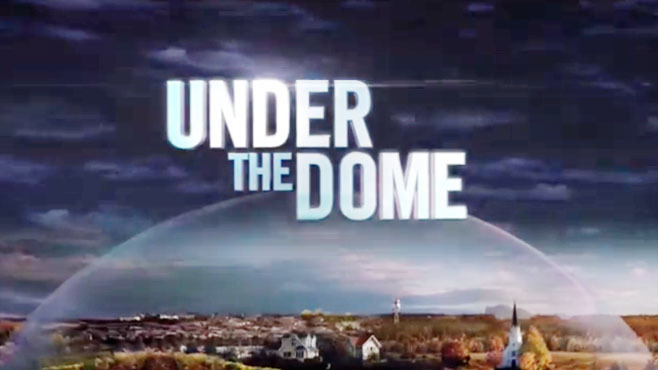 Under The Dome, based on the Stephen King book of the same name, improved on its numbers from last week and appears to have leveled off for now. The most recent episode posted a 2.8 rating in the 18-49 demographic–up from the prior week’s 2.7–with 11.6 million total viewers. The show appeared to be on a downward trend after opening very strong with a 3.3 rating, but it steadied its number at the 2.7 mark and has now improved them slightly. Those ratings would qualify this show as a success during the regular season, so for the Summer months this one definitely has been a huge win for CBS. I expect a renewal announcement from the network at any time now. Over on NBC, Siberia got bumped from the schedule for special coverage of the the royal baby which was the first slap in the face for the show. The second was that the “news” special posted better ratings than that series has had the last few weeks. Not a good sign, and hopefully it won’t prompt NBC to yank Siberia from the schedule altogether. Also on Monday, MTV’s Teen Wolf posted another 0.8 rating with 1.78 million total viewers. Good numbers for that network which has already announced the 4th season renewal for the show. The burn-off shows are starting to wind down as just ABC’s Zero Hour and NBC’s Do No Harm are left, both with air on Saturdays. The former scraped up a 0.3 rating with 1.79 million total viewers this past weekend and the latter had the same ratings score with 1.63 million total viewers. This column is running usually once a week in the Summer on Tuesdays or Wednesdays. Keep an eye on the Cancellation Watch Twitter Site for quick updates on the ratings numbers, and you can see the full schedule of Summer science fiction and fantasy shows at this link and see the Cancellation Alert status of these shows at this link.